happy Monday!! 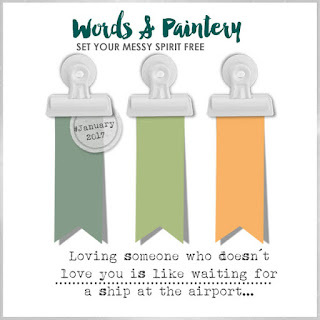 There is a new challenge over at "Words & paintery" and we have a super awesome color combo waiting for you.Check out the blog,our design team rocked this challenge with varied take on the colors.Initially i was so doubtful about this combo,but in the end i loved these colors together. Here is the colors for this month,hope you will join us.